Fill cats' teacups before they break them! To play this you need a mouse. When you see a cat in the mood for some tea, start pouring it by holding left mouse button. The goal is to score ten points. Browser version was tested in Chrome, if you find any issues feel free to message. Very cute! Great style and it was fun getting the hang of it. The mouse was a great reward at the end! 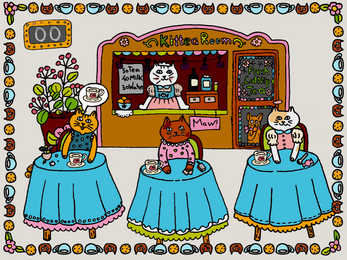 Super cute, I love the faces the cats make pushing the cups off the table!